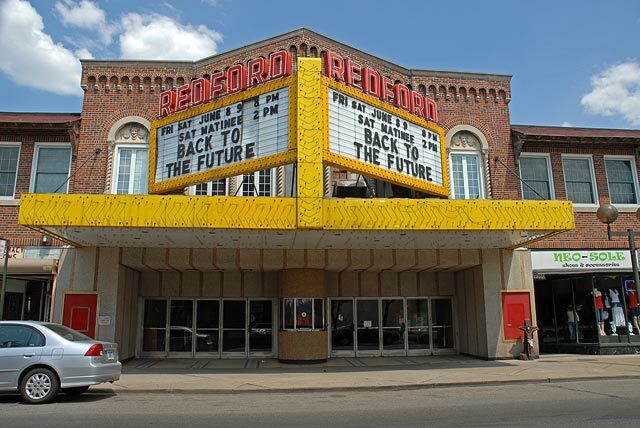 Crown Jewel of Old Redford is the spectacular Redford Theater. Built in 1928 the venerable movie palace is lovingly preserved, maintained and continues a venue for vintage movies through the efforst of the Motor City Theatre Organ Society. Visit the MCTOS website for full details of this spectacular theater and the wonderful organization that keeps it alive. Old Redford is centered around the intersection of Grand River and Lahser. 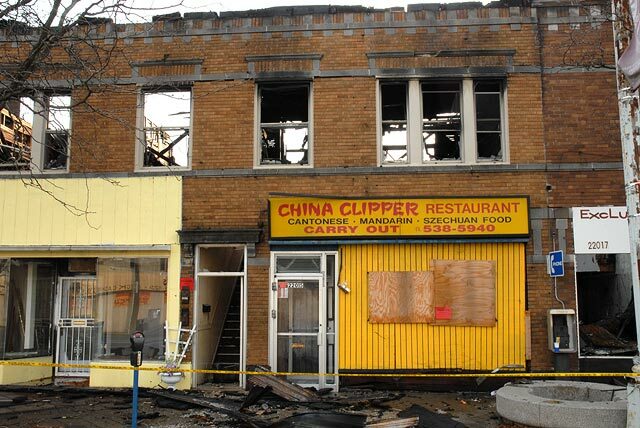 Tragically a devastating fire in 2006 destroyed the historic southwest corner commercial strip. The name of Detroit hardware retailer C.F. Smith is a bleak reminder of the age and history of Old Redford. Before the urban sprawl swept over it, Redford stood separated from and outside of the rapidly growing city of Detroit. It was a community with its own institutions and commercial center. The corner of Grand River and Lahser was, and still is, the hub of of what is known of as Old Redford. Once the center of Redford Township, half of the township which included Old Redford, was annexed by the City of Detroit. The other half remains as the suburban community of Redford Township. This issue takes you on a mini tour of the charming and challenged Old Redford. 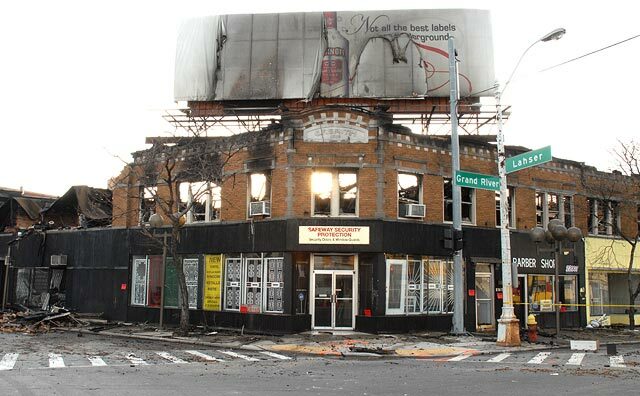 Below: Activists who have accepted the challenges of Old Redford and understand its potential send their message across from the C. F. Smith fire. 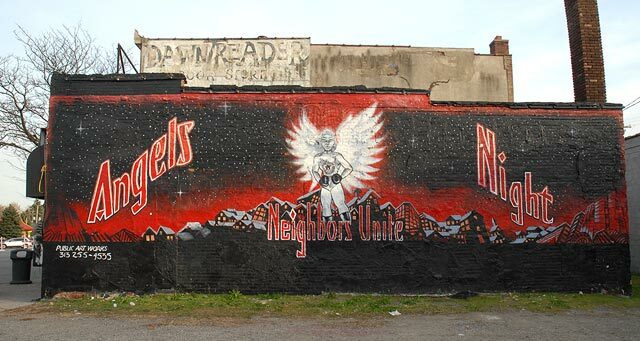 Angel's Night refers to the City of Detroit's highly successful campaign to combat widespread arson that once surrounded Devil's Night [the night before Halloween]. By organizing tens of thousands of volunteers to patrol the streets, it has turned the night in Angel's Night and fire department alarms are actually less that an average night.